Two numbers say so much: 140 and $36 million. 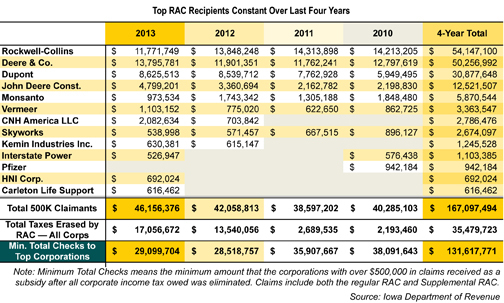 Last year, 140 companies paid no income taxes in Iowa but — through the tax code — received $36 million in research checks. Those two numbers alone tell us two things: We have a problem with transparency, and we have a problem setting priorities. We know those two numbers because Iowa’s Department of Revenue is required every February to report on the use of the state’s Research Activities Credit. We don’t know enough about what’s behind those two numbers — the problem of transparency. As it’s public money, the assumption should be that we are owed full information about where every dollar is spent (a case made well by The Des Moines Register in a recent editorial). Cities, schools and counties are required to disclose this routinely. In fairness, some lawmakers worked hard in 2009 to assure the transparency that we do have, passing a good law that required the annual reports. Before that, we had even less information. 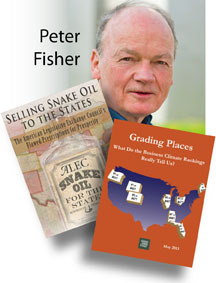 Big business fought hard to stop the law, and failed. 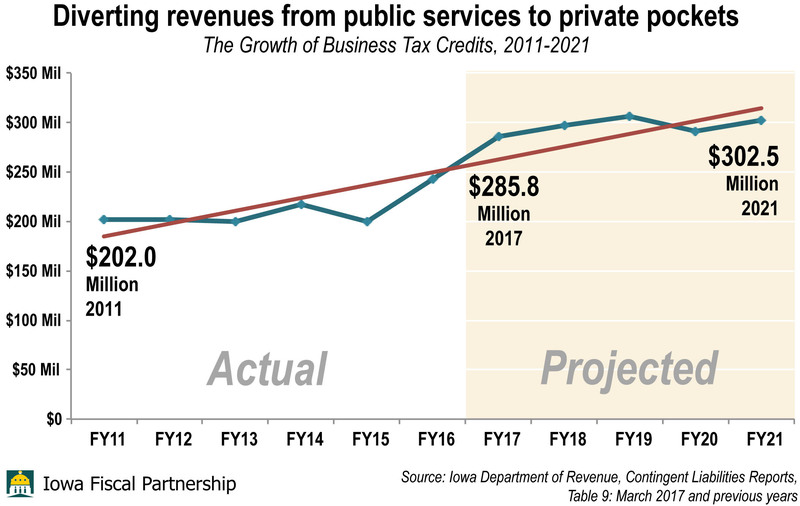 And because we have the law, we can make several noteworthy observations that are detailed in this Iowa Fiscal Partnership backgrounder, and get some insights on who benefits, as in the table below. But the annual reports do not tell us — or indicate with certainty — which companies receive the benefit as checks, how much each receives or how the money is used. There is no evidence of jobs created. 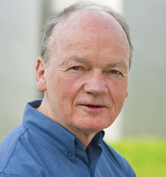 There is no evidence of need or of public benefit, or return on the public investment. This exposes the problem with budget priorities: This spending is done outside the budget process. Spending on the RAC is decided before the Legislature even convenes. It’s automatic. The decision has already been made for 2015, and 2016, and so on, and we don’t even know for sure how much it will cost — though the Revenue Department projects it to grow precipitously. State law provides that companies are entitled to that money regardless of any other pressures on state budget choices — including cuts to education. Example: In 2013, Iowa spent that $36 million to help companies that contributed no income tax, but for the current fiscal year that started in July 2013, the state reneged on its commitment to the school funding formula. The state fell more than $60 million short of its share, leaving property taxpayers to pay it — in the same year, by the way, that legislators boasted about property-tax reform. I think I know where we could have found $36 million of that lost school funding. 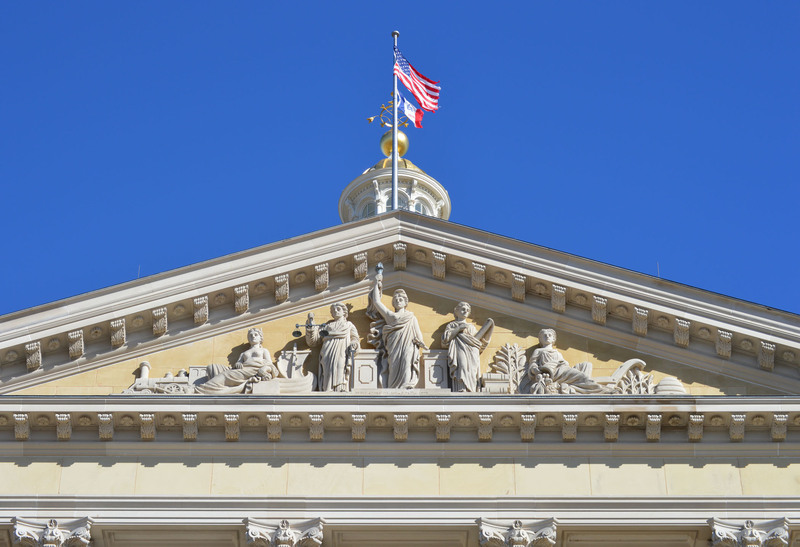 A special state panel that reviewed all Iowa tax credits in 2009 singled out the so-called “refundability” of the RAC as a special problem. It recommended eliminating refundability for big companies, which have dominated the spending on this credit. And it also recommended putting a sunset — an automatic elimination — on all tax credits after five years. To keep them going, the Legislature would actually have to take a vote on them. That is accountability. As it stands, our Legislature does not touch this issue. Meanwhile, big and immensely profitable companies are sucking dollars away from our local schools, state universities, community colleges, local police, county mental health services, environmental quality programs and enforcement, wage and hour enforcement … well, you get the idea. That is the budget choice being made, because our state is happily spending on autopilot with no proof of a public benefit. In the beginning, there was a CEO. And he said, “Let there be jobs.” Because he wanted to be a Job Creator, since he had heard that Job Creators get all kinds of public praise and respect, not to mention some significant perks, like being able to flash the Job Creator ID card whenever anyone threatens to raise your taxes. Others touted the ability of the Job Creator card to transfix governors and state legislators, who would then intone “We will grant you any incentives you ask for, oh wonderful Job Creator.” And amazingly, spending public money indiscriminately on Job Creators helps those public officials get re-elected. A win-win situation, at least if you leave ordinary working citizens out of the equation. And his board of directors said, “Hey wait a minute; how about a new product first, and consumers who are willing and able to buy it.” So the CEO bought up an innovative start-up company, and conducted market studies. And it turned out that indeed there was a market for this product, and sales to be had, and profits to be made. But the CEO discovered that his board of directors and his shareholders really wanted him to focus on that last point: profits. It turned out that maximizing profits required minimizing costs, which actually meant hiring as few people as possible. Workers, it seemed, could be a pain; they wanted to be paid, and to get benefits like health insurance, and work in safe and reasonable conditions, and maybe join a union. So the CEO set about creating as few jobs as he could, at the lowest wages that would get the skills he needed, with as little job security as he could get away with. He hired consultants to tell him how to keep them from joining unions. And he dreamed of a company that had no employees whatsoever. As consumers spent more, the company produced more, and hired more workers. (Hmmm; seems like consumers are creating jobs. We can’t call everyone a Job Creator, though; sorry folks.) But then there was a recession, and consumers stopped buying and the CEO had to lay off half his work force. And when the economy recovered he found he could make more profits without hiring them all back, by mechanizing some operations and outsourcing others to low-paid workers overseas. The CEO fretted for a moment. Would they repossess his Job Creator card, because he was actually destroying jobs? Well, not to worry. It turns out that you can destroy jobs right and left and that has no effect on your status. In fact, you can ship 1,000 jobs overseas and then get praised for opening a new U.S. branch that employs 50. Not just praised, but rewarded, with tax exemptions and credits and such. Things that really help that profit maximizing thing that your board is so worried about. In fact, it seemed that the more Job Creators laid off workers, the more desperate people became for jobs, and the more lavishly they showered benefits on the Job Creators. How could you lose with a deal like this? When he read the fine print on the back of the card the CEO understood how membership actually worked: Anyone in a position to hire (and fire) was a Job Creator. Your actual record didn’t matter. Nor did anyone seem to worry about the actual source of job gains being traced to innovation, and research, and public support of universities, and public investments in transportation and other infrastructure, and broadly shared income that allowed consumers to buy the products and services that workers were producing. So the CEO quit worrying, and sipped his martinis on the beaches of various tax havens in the Caribbean, contemplating how well deserved was his status as a Job Creator, and how nice it was to be worshipped for who you were instead of what you did.